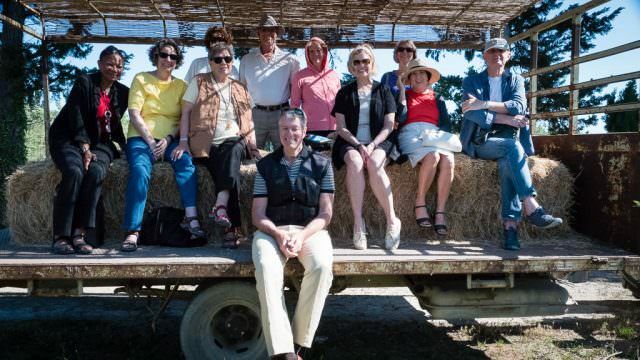 Traveling with friends in the south of France. When it comes to cruising, many people already choose to travel with family and friends—even newfound friends they’ve met on former cruises. 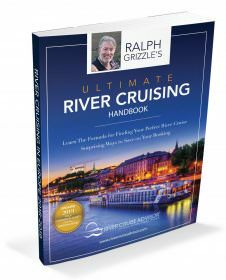 This makes good sense since cruises are a convenient solution for groups; I find to be especially true of river cruising. While ocean-going vessels can design activities tailored to your group of friends, family, or coworkers, river cruises are already more relaxed and intimate affairs. There’s less orchestrating involved to be able to rendezvous with one another on the pool deck or set out on an impromptu excursion. So it’s certainly no surprise that exploring the rivers of Europe might be a fun way to spend quality time with a few of your favorite people. What might surprise you is that you don’t have to be part of a huge family reunion or on a business incentive trip to benefit from group travel discounts. That being said, since a group can end up comprising a large percentage of a river cruise passenger list, planning well in advance is necessary to land great deals. These savings might come to you by way of a free stateroom with a certain number of staterooms booked, a dedicated private guide and vehicle for excursions, or a discounted fare for everyone within your group. Often the magic number is 10 passengers before you can expect to receive free staterooms and discounts of that nature—as is the case with Tauck and Adventures by Disney—but this often varies by cruise line and the length of your journey. Scenic extends a free cruise to the eleventh passenger, at least five staterooms, for sailings 12 days or less, but for itineraries longer than 13 days you have to wrangle five more friends to get a free stateroom. Avalon Waterways offers group cruise pricing and some extra perks after only eight passengers, and CroisiEurope requires a group of 20; 80 will actually land you a privately chartered vessel—or 22 will get you your own luxury hotel barge. AmaWaterways extends group benefits after booking five cabins (a maximum of 20 cabins) as well as a really unique opportunity to host your own theme cruises—be it wine, botanical tours, music, you name it. For this, ideally you should be able to recruit a group of 30. That’s the optimal size for private tastings in the Chef’s Table, a specialty restaurant situated aft on deck three on AmaWaterways’ vessels. With a minimum of 35 full-paying guests, the group also gets an exclusive bus and English-speaking guide for shore excursions during cruises on the Danube, Rhine, Moselle, Rhone and Seine rivers. You’ll want to work with a travel agent to put together a themed sailing, but this is ideal if you have a favorite winemaker or lecturer who you would love to have accompany your travels. Sometimes you don’t even have to travel with a group to receive group travel discounts and perks. Travel agents and consortiums such as Signature Travel Network, Virtuoso, and Cruise Specialists award their clients with exclusive benefits that you wouldn’t be able to receive booking directly with the cruise line. This can range from cruise discounts and complimentary stateroom upgrades to onboard credits, free excursions or welcome amenities. And, even if the cruise line has a group travel representative, it can be much easier to use an experienced travel agent to ensure that you’ve covered all of the bases as well as wrangle all of the people within your group. Travel agents can streamline everything, from booking contracted international airfares (when available) and coordinating airport arrival times and transfers to making special menu requests. Plus, travel agents well-versed in group cruise travel can often garner VIP perks for you that you didn’t even know were available. Even better than the savings that you’ll receive is the all-inclusive cruising with groups that helps to manage expectations in terms of out-of-pocket expenditures, mitigating potential misunderstandings, and family squabbles, when it comes to paying the tab. Having the cost of excursions, meals, and accommodations outlined upfront helps everyone know out-of-the gate if their participation is feasible; instead of discovering halfway through the journey that dining and excursions proved more expensive than anticipated, drying up vacation funds. Think creatively about what might constitute a group in your world. From neighborhood groups and gardening clubs to school or church communities, finding a few other couples to set sail might be easier than you think. You can always join me, too, as am cruising with a group of my own. September 12 through September 18, 2017, I am hosting a trip between Paris and Epernay. Think champagne, and the beauty of Paris and this region. What’s not to love? At the moment, I have only one stateroom remaining. We’ll be on a small, luxury hotel barge with an all-inclusive menu – tours, beverages, and lots of enrichment. See this link for more info. If you miss being the last one to sign up for my trip, don’t despair. I’ll be offering a similar trip in the South of France August 10-16, 2018. The cost will be $3,250 per person. I don’t have a form for that trip just yet, but you can contact me to pre-reserve space. 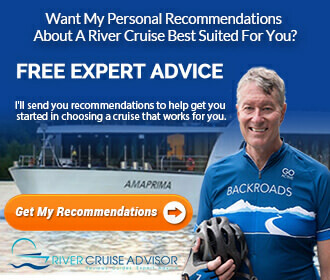 While joining us might not grant you a free staterooms, you are still benefitting from group travel savings, and I can promise you that the camaraderie you’ll feel with other River Cruise Advisor readers will only add to your enjoyment of our group travel experience.